In recognition of the importance of our partnership with the Department of Motor Vehicles, Lifesharing has established Volunteer and staff liaisons with offices in our two-county service area. As of January, 2019, more than 15 MILLION Californians have registered to be donors – 95% through the DMV. Volunteers visit offices at least quarterly and share their story, answer questions, provide training and see what is needed in the office. An initial DMV training session is provided for volunteers interested in working with this important outreach area. Then quarterly calls update volunteer liaisons about message points. The calls also are an opportunity to share suggestions, questions received and talk with other DMV volunteers. Materials also are available to take out with you. Lifesharing schedules the presentations in advance. Register on the Volunteer Outreach portal at lifesharing.org/volunteer for upcoming training sessions, quarterly call times & open office visits. Note: You also need to complete Volunteer 101. Do you have a pink donor dot on your driver license that shows you are an organ and tissue donor? Thank you! You’ll want to make sure your decision to be a donor is registered. There are now two easy ways to let your loved ones know you want to give the precious gift of life to others after death. Since July 1, 2006 the Department of Motor Vehicles (DMV) and Donate Life California have partnered to save lives in our state! When you apply for or renew your driver license or ID card, you can check a box to say “YES, I want to be an organ and tissue donor!” on your application form. 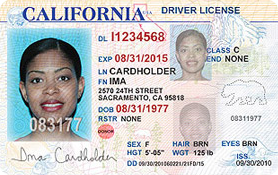 When you receive your driver license or ID card, the Pink Donor Dot will be pre-printed on the card, indicating that your name has been placed on the secure Donate Life California Organ and Tissue Donor Registry. This ensures your wish to save lives will be honored. 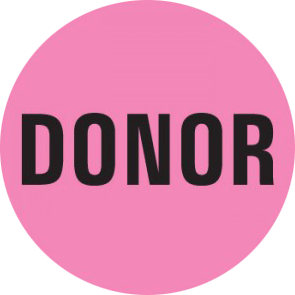 The Pink Donor Dot has gone digital! If you are not applying for or renewing your drivers license or ID card in the near future, sign up now to save lives with the Donate Life California Organ & Tissue Donor Registry.Go to www.donateLIFEcalifornia.org or in Spanish at www.doneVIDAcalifornia.org to join the thousands of Californians who have registered as organ and tissue donors. It only takes minutes to sign up to be a donor — minutes that could mean years of life for someone else. If you are interested in sharing your story with hospital staff members you are invited to join Lifesharing’s Hospital Outreach Volunteer program. Walking throughout the units with the HD Manager sharing your story with staff. Usually limited to Critical Care Units and Emergency Departments. In the staff lounge, you will be the star of the show. Hospital staff will route through to meet you and hear your story. If you have a picture you would like to share of your loved-one, please bring it. 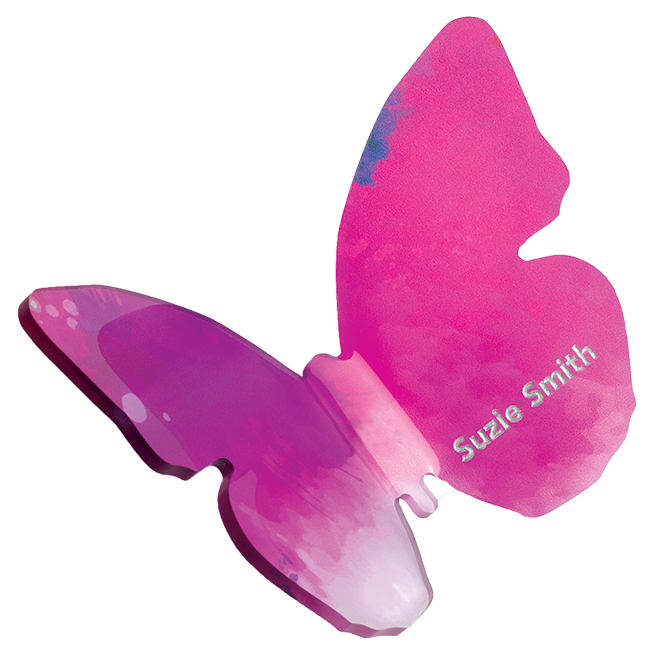 Or if you are a recipient and have a picture of yourself pre-transplant and you would like to share or if you have a picture of your donor, these things really help to tell the story. Sometimes recipients and donor families write back and forth and if you have this and would like to share this, bring it.